and has already saved me a bundle on buying parts here and there. 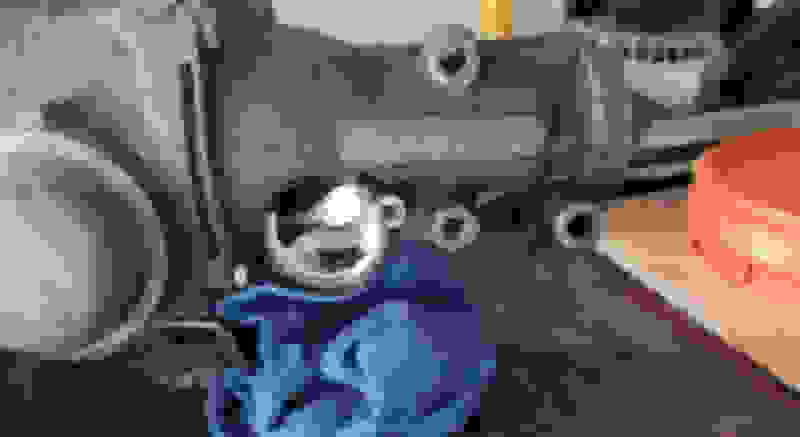 any vortec 350 truck motor around here is around $1000 and most of them are high mileage and boiled over/overheated/run into the ground or non vortec swirlport pos. while an owner gets more and more frustrated then the wife gets more and more bitchy and says "get rid of that "f^%king thing,it dont run anyway"
or the neighbors/city start complain.i know i cant have a non-running anything sitting in my driveway were i live. when a 305 is there already or available for the price of a used intake and capable of making decent power without a lot of issues and insane cost. yes,i want a vortec 350 ,lt1 or ls but i dont have the financial means to do it(right now),neither do a lot of other people.i dream big but live practical.
. I also though absot putting a 305 in the car. ..
Not a bad idea at all. I did just that when one of my 350's was in the machine shop. All of the bolt on parts swapped over: headers, intake and carb, accessories etc. I putted around with that until I had the fresh 355 shortblock re-assembled and had gathered up all of the new bits to go with it. As has been suggested here, a 305 might come to you on the cheap because few people want them. agreed,not ideal but cheap and easy and they seem to be running when you get them. DON'T put a 305 in your car. Cheeeeep, freeeee, even if somebody PAYS YOU to do it. It's a BACKWARDS move. It is A BAD IDEA in every way. Doesn't matter how little the "305" costs. You will spend EXACTLY as much putting it in your car, as you will a 350. Fluids, belts, missing parts, might-as-wells, and so forth. EVERY DIME you put into a 305, cheeeep" or even "free", just moves you ONE DIME farther from what it is you REALLY want. DON'T put a 305 in your car. Just drill the studs out of em. If they're on they're that tight, odds are, you need new studs anyway; not really losing anything precious by erasing them. Start with a small bit in the center, like 1/8"; then 1/4"; keep getting larger until they fall off. Only takes acoupla minutes. ZERO risk of damaging the wheel. 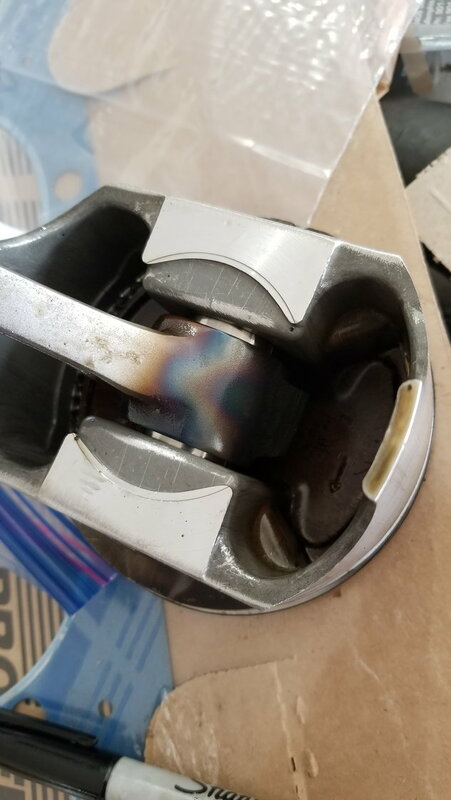 It looks like whoever assembled those pistons and rods used a oxy-acetylene torch IMPROPERLY, instead of the proper rod heater. Right: the rods have to be heated, to put the pin in; the small end is about .002" or so smaller than the pin, so the usual deal is to use dry ice on the pin and an induction heater on the rod; but it looks like somebody was real enthusiastic with a torch instead, but probably didn't freeze the pin and so had to excessively heat the rod. Or maybe just liked [beavis]fire[/beavis]. Some degree of variance in the pin fit in the pistons is normal. Usually if it's loose enough to move by hand at all, it'll loosen up and work fine in the motor once it's running. Hi everyone. So my school term is almost over and ill be going back to work in January. I've been able to get a scholarship that will allow me to spend some extra money on the Trans Am. Im going to be putting a crate engine in (probably from blueprint engines) that makes in the neighborhood of 400 HP and but on an edelbrock intake and probably a holley or brawler carb. Also, I may need to rebuild or buy a new trans because the one I have doesnt have a lot of backstory other than it was taken to a driveline shop and either rebuilt or built up. On top of that I'm most likely going to be putting a new rear end in also. Im not 100% sure what I want to do there though. 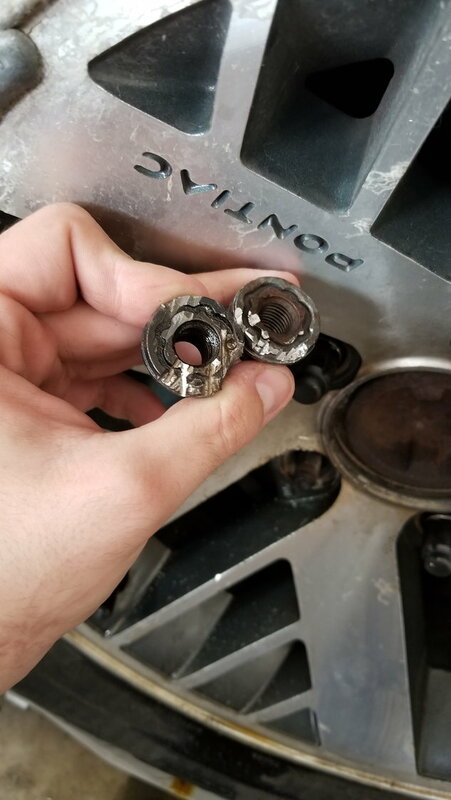 I know I could probably find a used one for cheaper then a new one or fabricated rear end, but also having the convenience of a bolt in and knowing exactly whats in it and that everything is new and in working order is a big appeal to me. Also a couple weird questions I have, do the third gens have a fan shroud stock? Mine didnt have one and a lot of radiators Im looking at online dont come with them so I was just wondering. Also, the trans mount quite literally does nothing to hold the trans in my car so who sells a replacement for those because the rubber part it sits on is split in two. Do you realize your link is for a 4x4 transmission? My 2 cents, don't try to do all of this at once. It sounds great on paper, but what usually happens is LIFE gets in the way. It is much easier to take the car apart than put it back together. If you think you have every detail covered, you will find that there are hundreds of little things you forgot about, and it's those things that can add up to thousands of dollars more. Wait on the rear end until you have the engine and transmission working the way you want. Believe me, you WILL change your plan many times along the way. That is the torque arm. Probably something worth replacing as you move forward. Plenty of threads here on the subject. Last edited by skinny z; 11-25-2018 at 04:06 PM. So I'm still waiting to order everything until I have enough saved up. My plan is to go with a blueprint 383 and gearstar 4l60e. 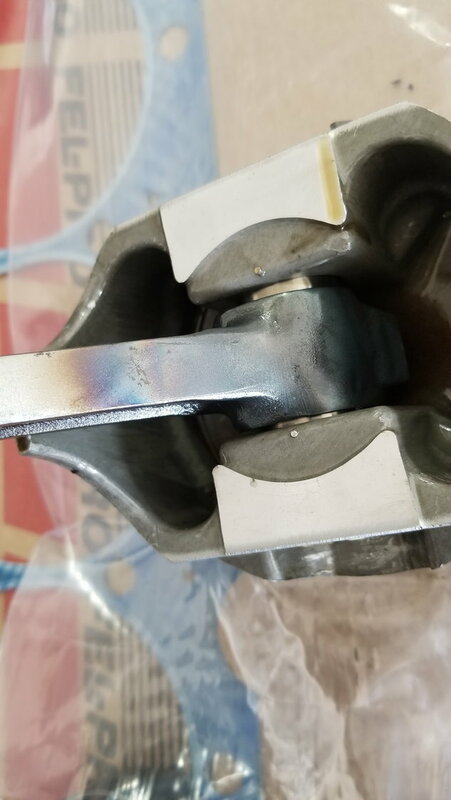 Eventually I'm probably going to get a moser 12 bolt but i wont be running it hard during the break in so I'm not worried about the rear end yet and if it goes then it goes, I'm planning on replacing it anyway. I'm going to put in UMI Performance torque arm relocation, lower control arms, pan hard bar, i have a steering kit so i can replace most of that, polyurethane bushings the whole 9 yards. But one thing I've been having a hard time with is the exhaust system. The old system was hedman headers and each one had a 3" exhaust straight back (straight back as in it stopped right under the passenger seat) and it had muffles but they didn't do much and I hated it because the hanger (yes, 1 hanger for each pipe) had it dragging on the ground over most bumps. I would like to replace everything with a bolt in system so its tucked up under the car but all I can find online is systems for factory manifolds, cat back systems or LS swap systems. I'm hoping to find an entire system from headers to tailpipe. I just wanted to get your opinions on what i should go with. Last edited by Gompeh; 03-01-2019 at 06:29 AM. My first header/cat back exhaust was something Edelbrock offered 20 years. It's probably still out there. IIRC it consisted of short headers and y-pipe purchased separately from the 3" cat back. The only piece to add was the converter or a piece of pipe to replace it. All of that was with clamps. Much like the first link you posted. Others here I'm sure have PN's for complete short header kits. Get it all from the same manufacturer. Maybe check if DynoMax has a recommendation for kit you posted. If you went the long tube header route you'll have to have a 2 into 1 Y-pipe built from collector to the aftermarket single 3" as above. There are true dual options available too but they'll take some level of fabrication from the collectors as well. Anybody's headers and anybody's cat back will work. Doesn't matter really as you to have build something regardless with the LT header anyway. Search DynoDon headers here at ThirdGen. He's the man in the short header category around here. There's an argument to be had regarding the short vs long header. For me, I like the long tube route although I'm more inclined to get the benefit at the drag strip (open header tuning). Last edited by skinny z; 03-04-2019 at 08:46 PM. separately from the 3" cat back. The only piece to add was the converter or a piece of pipe to replace it. All of that was with clamps. Much like the first link you posted. hey z,i have an oportunity to pick up a clean,good running 1997 vortec 350 longblock for $650,should i go this way or stick with my 305 in the car and another 305 on the engine stand?i need a push,how much better is it? The 350 all the way. I doubt you need an explanation as to why but I'll provide it anyway. As far as power on the cheap swaps, this is the way to go. The foundation is there (provided that it's a sound longblock and hasn't been cooked, ruined the heads or otherwise poorly maintained) and add the usual speed parts that you're probably inclined to add to the 305 anyway and it'll make a fun driver. Do a little work on the heads to support a properly spec'd cam and you could be pretty quick. The risk is in the longblock and you ability to make it work. Last edited by skinny z; 03-04-2019 at 09:03 PM. thats what i thought,damned...so much for procrastinating.he is going to drop it off in the crate the 383 came in at my door,what do i need to get it running. headers,starters etc.i know i need a vortec intake but anything else you can think of off the bat? i have a 5 speed i would like to use at least for the time being.its the one that is attached to the older 2 piece rear main seal block. Yeah. The usual stuff. The OEM HEI I think won't work as a stand alone (I could be wrong). I dropped an aftermarket distributor into mine but then I was a Vortec swap onto a vintage block. An HEI at first then a small cap distributor with an external coil. The HEI is by far the simplest though. The T5 is going to need 1-pice RMS flywheel/clutch assembly that takes care of the balance situation. Going with a carb is simplest as well. You'll have to figure on fuel delivery depending on what your current chassis has. one in my car right now,plus a spare.one of those should work,right? i also have a b/n flywheel for a 1 pc rear main seal block in my closet.i think i can do this,it might take a while but i think its definetly worth it,you did the whole vortec thing too right? (on an old block,oh i get it)ill keep you posted,thanks a billion. Yep. If you're going to be serious about performance you'll want to address the module and the coil with something other than the stock stuff. But to get it going, you're golden. Last edited by skinny z; 03-04-2019 at 09:40 PM. yep,ill definitely update everything as i can afford to,i need to find a reasonable cam while the motors out and swap it in(the stocker is a peanut).maybe an lt1 or zz4 cam or similar? Either of those will mean the you have to rework the Vortecs to some degree. Valve springs at the very least and the correct ones can be dropped in with no machine work. But do you want to trust the pressed in rocker studs? More work there. Then rocker arms. Etc.Etc. I did all of that but I can say that my fist Vortec iteration was with heads right out of the box, a Comp 268H flat tappet cam, RPM Air Gap, 600 Holley and short tube headers. That car (at 3700 lbs) trapped at 102 MPH. Not bad. (of the pressed in stud vs the screw in stud height )to determine how much to remove. with the 268h you used the pressed in studs without issue?i was thinking of a cam with maybe 0.460 max lift,roller of course and reuse the spider,lifters etc. im just waiting for the guy to drop off the engine,hopefully it happens without mystery,bull-crap and excuses . Pretty much. Keep in mind that with the screw in studs there are a couple of options. Some require spot face milling of the guide boss so as to provide register for the built in jam nut. That's to allow the use of guide plates. Other don't require any milling as the pressed in stud is simply replaced with a screwed in version. In that case, because the Vortecs are set up to use a self guiding rocker arm rather than the pushrod holes in older versions, a guide plate isn't necessary. The rocker tip keeps things in alignment. Roller absolutely. Generally under .460" lift and A) there's no coil bind or retainer to guide boss interference. (always measure just the same) and B) the entire stock valve train can be reused as I did in my first go round. That said, with access to the proper tooling, I'd also cut the guide bosses for a positive style Viton seal. That further increases the lift capacity and then it's a matter of the appropriate valve spring should you want to step it up. Thanks to Gompeh for the loan of the thread. 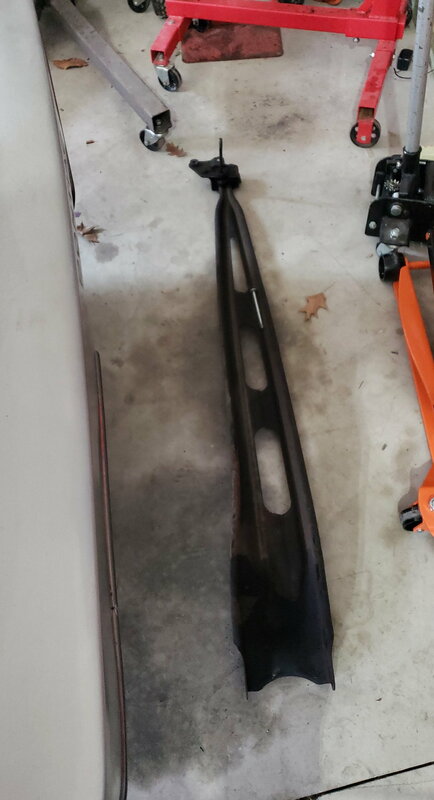 1985 lg5 trans am - is it ok to delete these vacuum lines?